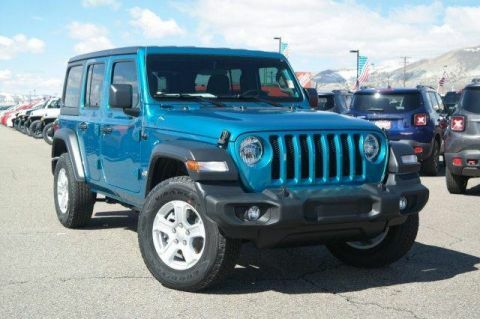 Heated Seats, Bluetooth, iPod/MP3 Input, Keyless Start. Ocean Blue Metallic Clearcoat exterior and Black interior, Sport S trim. CLICK NOW! 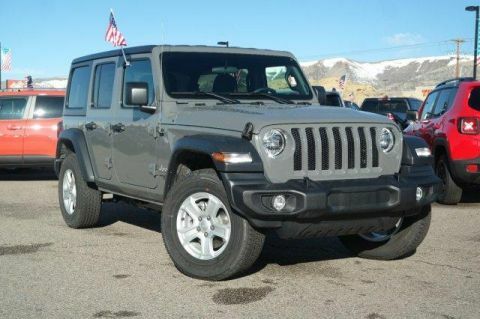 4x4, Back-Up Camera, iPod/MP3 Input, Bluetooth, Aluminum Wheels, Keyless Start, Brake Actuated Limited Slip Differential. MP3 Player, Privacy Glass, Child Safety Locks, Steering Wheel Controls, Rollover Protection System. 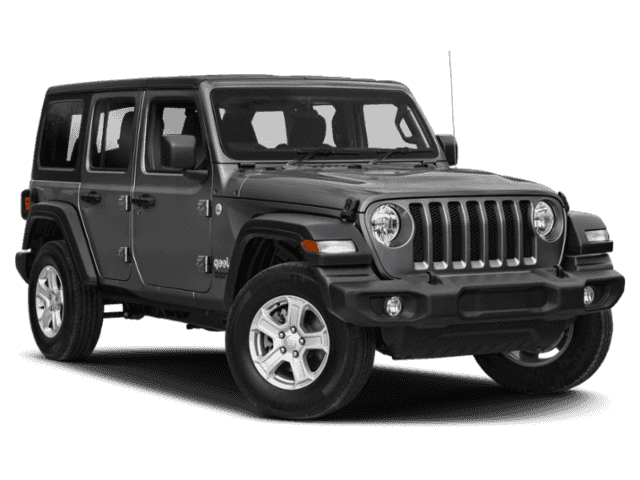 QUICK ORDER PACKAGE 24S SPORT S Engine: 3.6L V6 24V VVT UPG I w/ESS, Transmission: 8-Speed Automatic (850RE), Front 1-Touch Down Power Windows, Remote Keyless Entry, Speed Sensitive Power Locks, Leather Wrapped Steering Wheel, Power Heated Mirrors, Automatic Headlamps, Sun Visors w/Illuminated Vanity Mirrors, Security Alarm, TRANSMISSION: 8-SPEED AUTOMATIC (850RE) Dana M200 Rear Axle, Hill Descent Control, Tip Start, BLACK 3-PIECE HARD TOP Rear Window Defroster, Freedom Panel Storage Bag, Rear Window Wiper/Washer, No Soft Top, COLD WEATHER GROUP Heated Front Seats, Heated Steering Wheel, CONVENIENCE GROUP Universal Garage Door Opener, ENGINE: 3.6L V6 24V VVT UPG I W/ESS (STD). 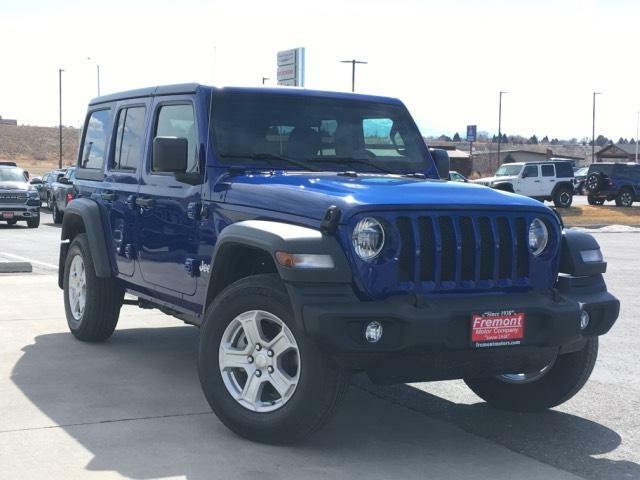 Jeep Sport S with Ocean Blue Metallic Clearcoat exterior and Black interior features a V6 Cylinder Engine with 285 HP at 6400 RPM*. This vehicle comes with Fremont Care.